Great form with a soft curve, low and deep seat. 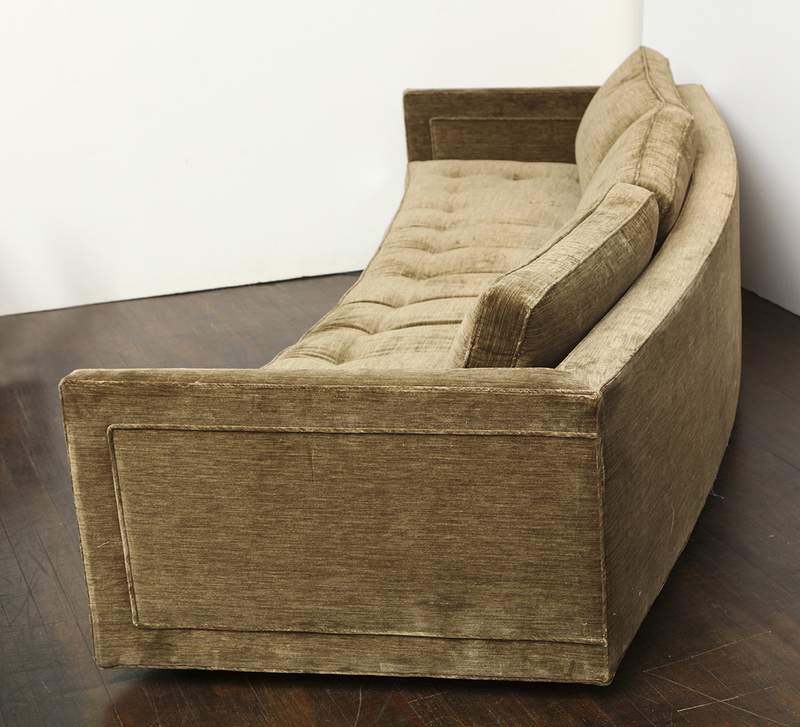 This unusual design has a number of details that define many chic, mid-century pieces. Lead time is 6-8 weeks. C.O.M. 20 yards. h. 28.5" w. 104" d. 36" Seat: h. 14"